On September 26, IBA Executive Director Jerry Pacheco presented on an expert panel for the HUB of Human Innovation’s Export/Import Workshop in El Paso, Texas. 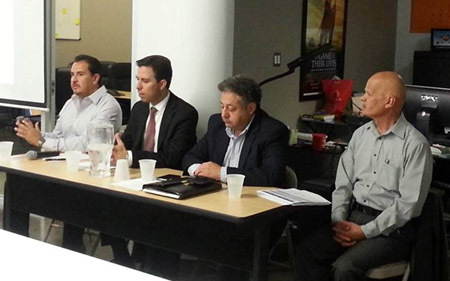 Experts on the panel presented on topics including identifying your market, logistics, and finance. Pacheco presented on export resources, legal considerations, researching prospects and preparing materials for export. Approximately 25 businesspeople from New Mexico and West Texas attended.